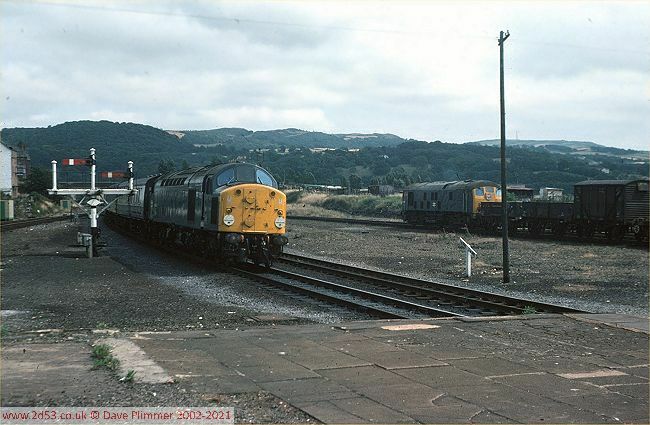 40028 arrives at Llandudno Junction on a westbound train on the 27th July 1976, while 24080 waits in the sidings with the afternoon freight to Mold Jcn. 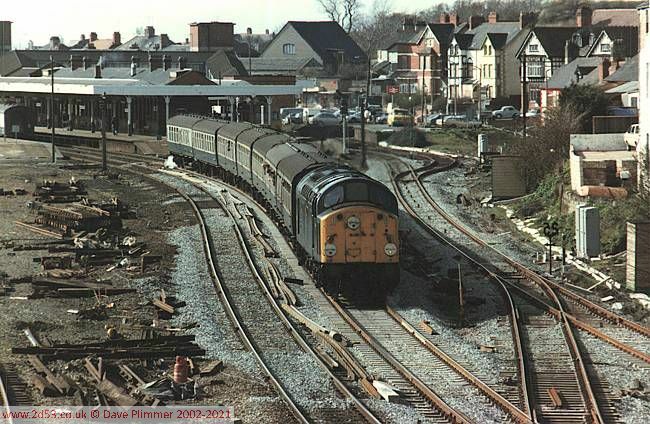 The Class 40 is running into Platform 2, which at the time was the only platform available for use in both directions. Standing on the platforms at Llandudno Junction station today, it is difficult to recall what a wide open aspect was once visible. 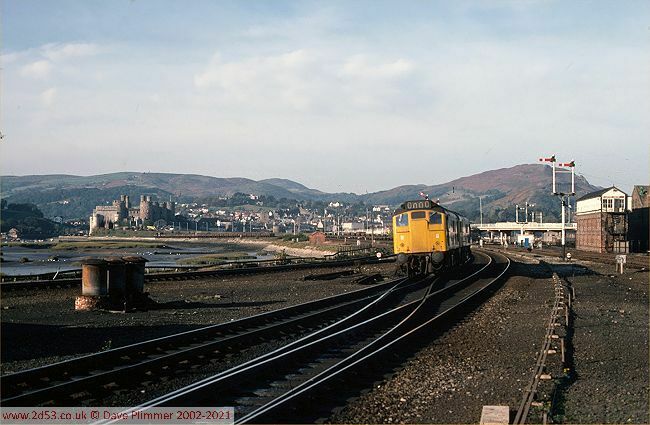 25043 (with 24082 leading) heads out of the station to run round a Ffestiniog Railway Society special for Blaenau Ffestiniog on 15th October 1977. To the left are the salt marshes of the River Conwy, with the causeway leading on towards the tubular bridge. Tube wagons are stabvled on the line down to the Conwy wharf sidings, and ballast wagons in the up refuge siding on the other side of the main line. Both these sidings were often used to stable coaching stock as well. 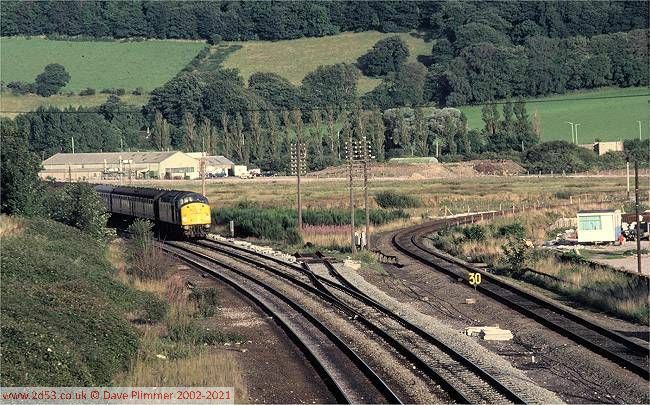 This is the 24th August 1980, and the major rationalisation work on the railways of the Llandudno Junction and Colwyn Bay area work has started in preparation for the building of the A55 Expressway. Here 40120 is arriving at Llandudno Junction on the 16:32 Manchester Victoria - Bangor. The new connection to the Blaenau Ffestiniog branch has just been laid in the down main line, and work has begun on the Glan Conwy freight terminal on the right. The existing branch connection will become the access to the yard. 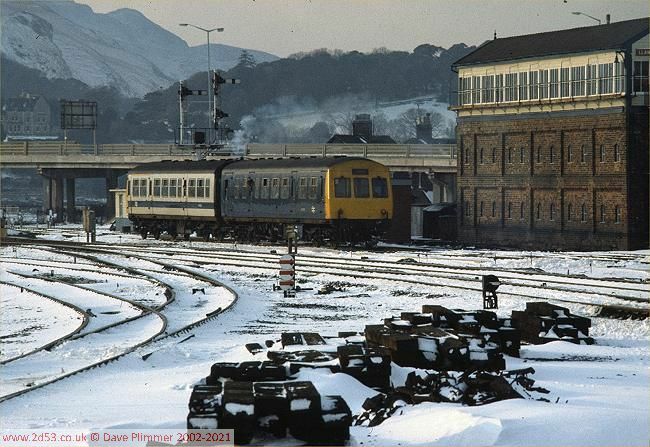 A DMU in mixed livery leaves Llandudno Junction for Llandudno on a snowy 9th January 1982. 4th April 1983 and the changes to the trackwork at the east end of the station are all but complete. 40015 leaves on the 15:38 Bangor - Manchester Victoria, past a mass of old track parts. To the extreme right is the start of the new up loop, which functionally replaced the up goods loop through the station, the end of which, retained as a siding, is visible in the right distance. Also notable, is the fact that the 40 is steam-heating the train, with a cloud of steam escaping from the last coach of the train.